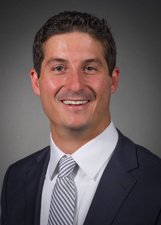 Dr. Daniel Seidman is an orthopedic surgeon with subspecialty training in foot and ankle surgery. The goal of his practice is to get you back to being you, whether that be running marathons, competing in tough mudders, or walking along the Highline. He is especially interested in the treatment of high end athletes and returning them to elite condition. He focuses on the treatment of lower extremity sports injuries, cartilage restoration, and joint stabilization. He has interests in the treatment of degenerative and post traumatic conditions of the foot and ankle including arthritis, deformity, and joint reconstruction. He also is well versed in treatment of all extremity fractures. He looks forward to taking care of you and/or your loved ones. "Dr Seidman is knowledgeable, courteous, professional, and understanding. what a pleasure!" "I cannot say enough how appreciative I am of Dr. Seidman from the moment I met him he put me at ease. he cared about me as a person and took his time explaining the whole process. he was knowledgeable and well spoken. When my surgery was scheduled later in the day knowing I would be anxious he called me multiple times and had me come to the hospital where he continued to be my advocate. My reconstructive ankle surgery was completely essential to my well being and I trusted him to make it better. He did more than that. He gave me my life back after suffering from chronic ankle sprains over 15 years I am no longer in pain and I have him to thank. He is a gem and I would recommend him to anyone." "I would recommend dr Seidman to everyone. he and his assistant nicole fisher were unbelievable I. their care and attention." "Dr Seidman is an excellent physician. I have complete faith that his surgical abilities are just as good. I look forward to have my surgery and healing under his care." "Dr. Seidman is fantastic! I trust him and highly recommend him"
"Without overstepping my reach, I consider Dr. Seidman a friend. He did most professionally with it all--and made me laugh when appropriate. Thanks for that." "Would have liked more info about post-surgical procedural recovery but I think that was probably premature/dependent on procedure." "helping me was the concern. I am thankful." "i would recomend him and his team anytime"
"Dr. Seidman is my new BFF"
"I have recommended Dr. Seidman." "Dr. Seidman was the fourth doctor I consulted in an effort to get a diagnosis of my foot problem. He was the only one who provided immediate diagnosis and treatment for my pain and knowledgeable follow up. Under his care, I was able to resume normal mobility without pain. I am extremely pleased and will happily recommend him to others with foot and ankle difficulties." "Dr. Seidman is a fantastic doctor. Great bedside manner - approachable and friendly. He is great to have as my care provider." "Very down to earth and answered every question so I could understand. The dr. even called me himself which was nice." "Excellent and have recommended Dr. Seidman to two family member." "I would recommend him to anyone who needs an orthopedist. He was so helpful and explained everything to me." "To show you the level of confidence I have with Dr. Seidman, I am willing to drive into NYC for each and every follow up appointment despite the fact that we live in eastern Long Island." "Every time I have seen Dr. Seidman he has answered all my questions, made me feel comfortable discussing my issues and continued to shove me in a very positive direction." "I would definitely recommend Dr. Seidman." "Excellent, caring, thorough doctor. The best!" "my Dr is the best of the best"
"I was VERY impressed with Dr. Seidman. He strikes me as being a credit to his profession. Including his colorful socks. " "Very nervous and anxious. Dr. Seidman reduce my anxiety and I felt very comfortable and trusting for him to give me treatment which included an injection. " "DR D SEIDMAM EXCELLENT, MADE MEFEEL IMPORTANTAS A PATIENT, WARM FRIEDNDLY, INFORMATIVE"
"Already have shared the doctor's information with friends & family members."